Empowering Individuals through better communication. Early Childhood Health Screenings: Our screening division is an outreach program that aides in early identification of Hearing, Vision & Speech-Language disorders. It is part of our early intervention initiative to ensure that children get the medical as well as, educational services they need in order to meet age appropriate developmental milestones. Our certified Audiologist provides individualized services thorough evaluations and continued follow-up to assure the achievement of our client's maximum potential. We provide ABR testing for newborn screening, play based audiometry through fully comprehensive auditory testing for all ages. We further provide Hearing devices/equipment. We also offer the Florida Telecommunications Relay, Inc. (FTRI) is a private, statewide non profit organization that administers the Specialized Telecommunications Equipment Distribution Program for citizens of Florida who are Deaf, Hard of Hearing, Deaf/Blind and Speech Impaired. Our FTRI distribution center offers a variety of amplified telephones to meet the need of persons with a mild, moderate, or severe hearing loss. The Screening Program provides hearing, vision, and speech/language health screenings in the community to children ages birth to elementary age. Every year the HSCF screens thousands of children throughout Miami-Dade County. The purpose of early childhood screening is to facilitate health and help identify any factors that can lead to conditions, disabilities, or special needs in young children in our community. We collaborate with schools, child care centers and other community organizations to service our children and we educate and refer to appropriate resources. 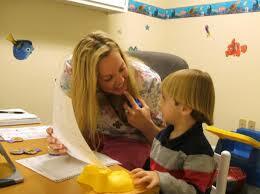 Our Therapy Team provides comprehensive therapy to children and adults with varying needs. Our therapists are knowledgeable in the evaluation and treatment of disorders in Speech-Language such as articulation, fluency, receptive/expressive language skills, social/pragmatic/play skills, voice, feeding/swallowing, and cognitive disorders. Our Physical Therapy team works with children who may have physical impairments, gross motor deficits (e.g., walking, climbing) and/or need for assistive devices. Our Occupational Therapy team target skills in attention, sensory integration and fine motor abilities to activities of daily living and social skills. We also specialize in early childhood intervention, where we collaborate with families and developmental specialists and to facilitate communication for Birth-3 year olds in a natural setting. Our mission is "to empower individuals through better communication." We do that by providing enhanced and hands-on training to child care workers, teachers, and parents/caregivers in order to create understanding of disorders and stimulate development in the children who are in their care. 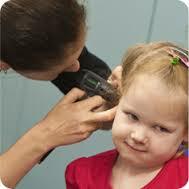 Learn more about Hearing and Speech Center of Florida Inc.